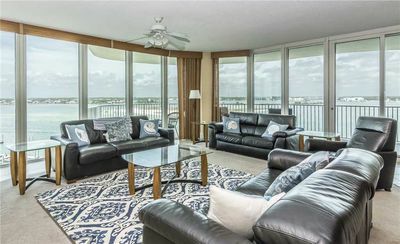 Tidewater 609-Beach Front Views From Terrace with Luxurious Interior! 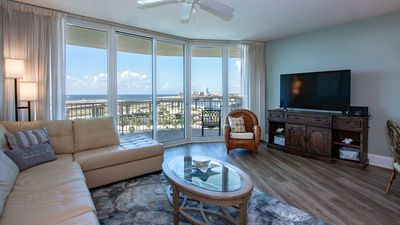 Experience the vacation of your dreams and discover the beauty and splendor of the Gulf Coast when you stay in our 3 bedroom Tidewater unit in sunny Orange Beach, Alabama! 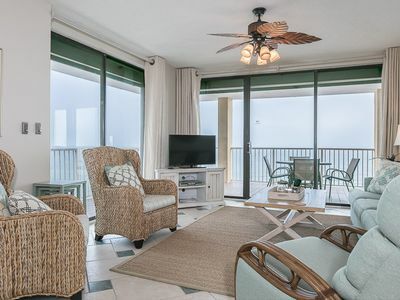 Nestled upon one of the most pristine and picturesque beaches on the Gulf Coast, this destination offers the perfect blend of relaxation and recreation. 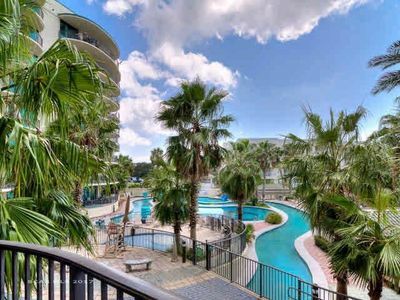 Shimmering white quartz sand beaches and glistening turquoise emerald waters are only steps away, and with an average annual temperature of 70 degrees you can enjoy the picture-perfect scenery and outdoor recreation no matter when you visit! 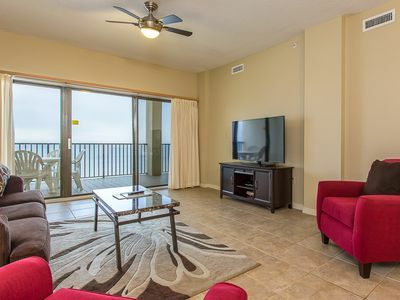 This 3 bedroom, 6th floor condo boasts an open concept layout, updated furnishings, electronics and appliances, and awe-inspiring views of the magnificent Gulf of Mexico! 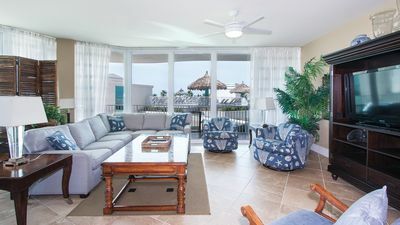 The beachfront balcony offers ample seating, where you can spend the morning savoring your coffee while the sun rises over the Gulf, or enjoy a moonlit al fresco dinner under the stars while the soothing sights and sounds of the sea relax your senses and transport you into a state of complete tranquility! 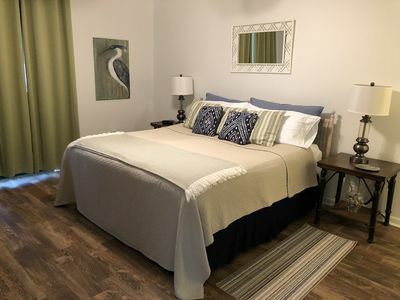 With premium mattresses, luxurious bedding and high thread count linens throughout, you'll definitely catch some serious z's during your rejuvenating beach retreat! 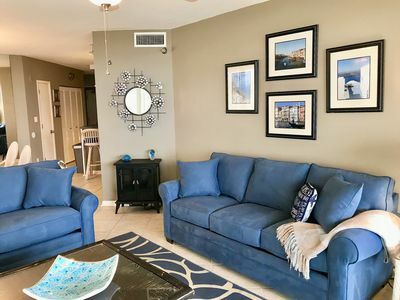 The master and second bedrooms each feature comfy king beds, and the third hosts two twins, and with a queen sleeper sofa in the living room this unit accommodates up to 8 comfortably! 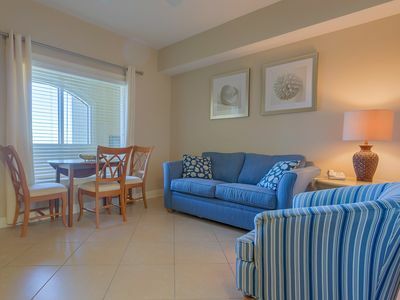 The kitchen is fully equipped with everything you'll need to prepare delicious meals, but if you prefer a break from cooking there are a variety of delectable dining options nearby to choose from! 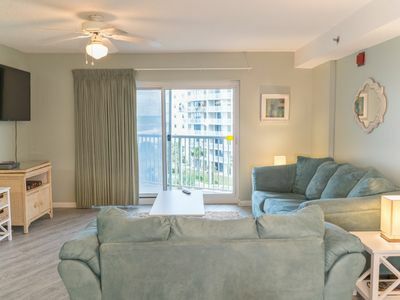 Additional unit features include high speed wifi, a full washer and dryer, beachfront balcony access from both the living room and master bedroom, oversized 100% cotton monogrammed bath towel sets and deluxe bath amenities, to name a few! 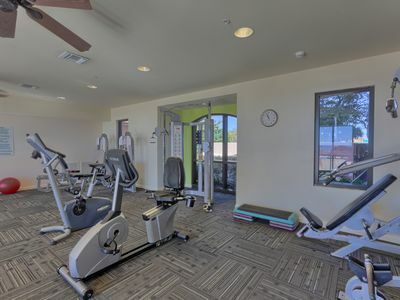 In addition to the fabulous interior features, Tidewater boasts an array of luxurious amenities you're sure to enjoy during your beach retreat, including indoor and outdoor pools, indoor spa/hot tub, sauna, BBQ grilling area, a state of the art fitness center, and a convenient boardwalk leading to a generous stretch of private beachfront! 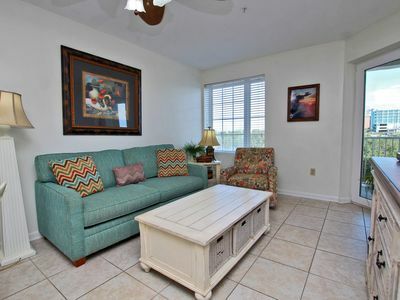 Chair and umbrella rentals are available for a daily fee, ideal for those who prefer to avoid hauling beach equipment to and from the condo! 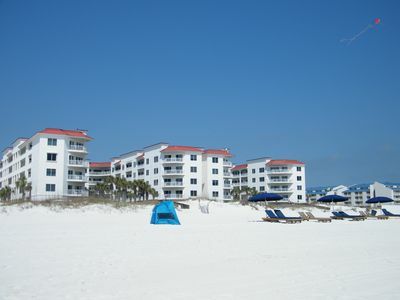 When you choose to rent with Luxury Coastal Vacations, your expectations will not only be met, but exceeded. 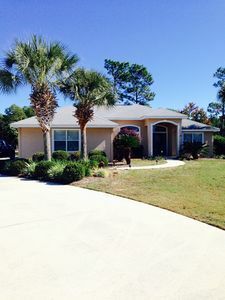 The Alabama/Florida Gulf Coast's premier rental agency boasts a considerate & knowledgeable staff, each of whom are dedicated to ensuring you experience the vacation of a lifetime. 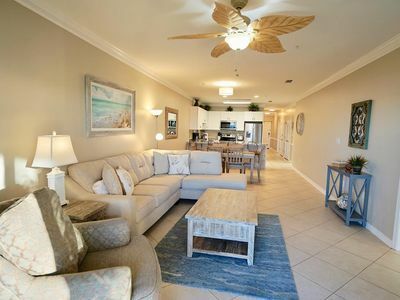 Don't spend your next vacation dreaming of the perfect destination... Book with us at Tidewater and experience the vacation of your dreams! *Please be aware that a new building is being constructed next door. 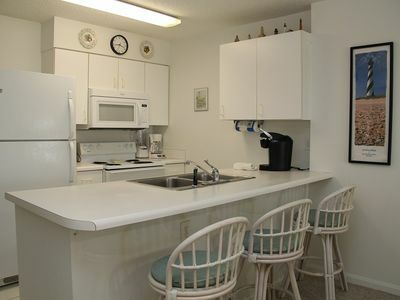 ALL SPRING RATES REDUCED BY 20%. 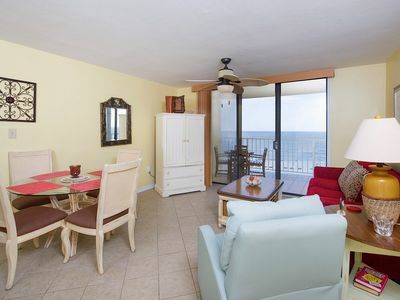 BOOK FAST.TW204 Bring your family to this cute 2BD/2BA Gulf front condo with a perfect view of the beach. Quote comes with one parking pass. 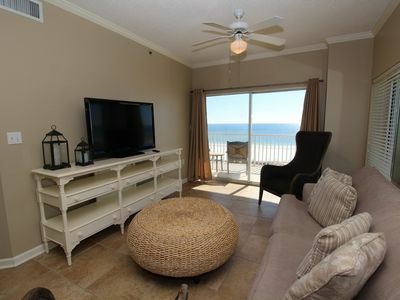 Beach Front Beauty - 2nd Floor Corner - Beautiful - Check Out Our Reviews !!! 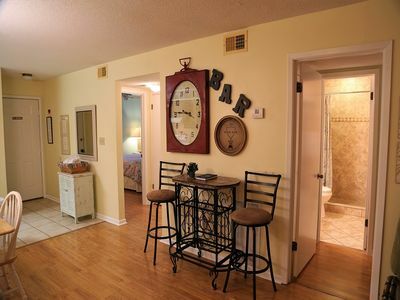 Last minute April & May Specials - 15-20% discount for select weeks.Inquire now! 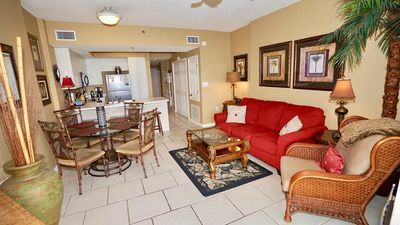 Seaside Beach & Racquet1110 ~Tennis Villa ~Indoor Pool, 2 Outdoor Pools ~ Prime Location!